Place a heavy Dutch oven or large stew pot over medium-high heat and splash in enough oil to swirl and coat the bottom with a thin film. Carefully add the pork roast to the hot oil and commence Operation Browning. Continue, turning the works as needed until the meat is evenly browned on all sides. Be patient! This is the only opportunity you’ll have to add the rich flavours of browned meat to the dish. When the roast is evenly browned, transfer it to a slow cooker. Stir together the sugar, vinegar, mustard, tomato paste, chipotle pepper, chili powder, cumin, oregano, and salt. Whisk in the water to help evenly dissolve and distribute the flavours. Pour over the pork. 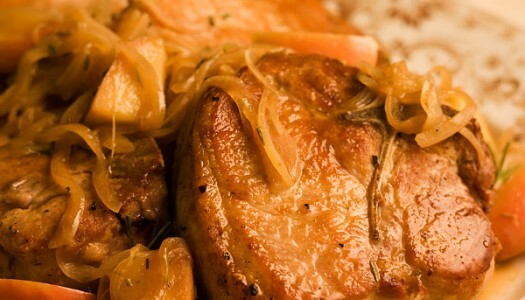 Cook until the pork is incredibly tender and can be pulled apart with no resistance, 6 to 8 hours or longer as needed depending on your slow cooker settings. Reverently return, carefully remove the top and behold your achievement! With a pair of forks or tongs shred and pull the remaining meat and stir together with the broth. 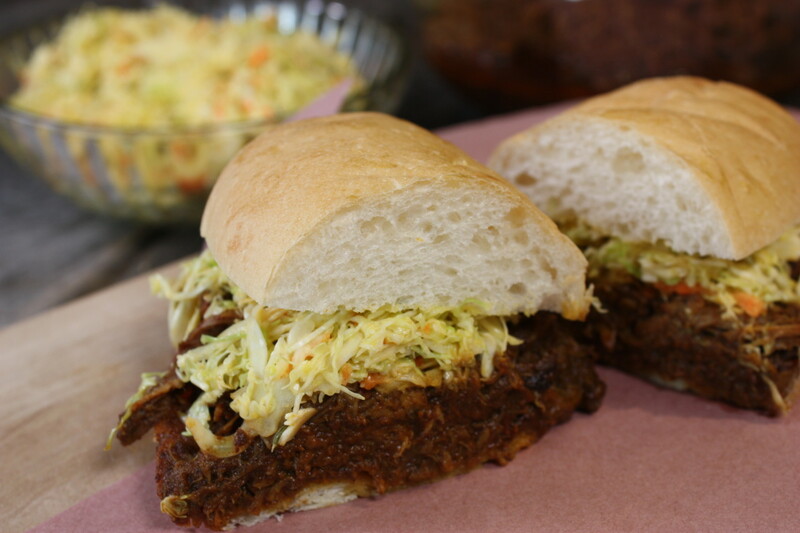 Craft and build your sandwiches by piling the pulled pork on the soft buns and topping with lots of Spicy Coleslaw. Serve and share! Today’s mainstream pork is very lean, so it can dry out very quickly as it cooks. The trick to tender pork chops that stay moist and juicy is a simple two-step cooking method. Begin cooking with high heat, then finish, covered, with low heat. And a savoury twist on classic applesauce won’t hurt either! Because ham is so versatile, our Sunday ham tradition means a different flavour every week. 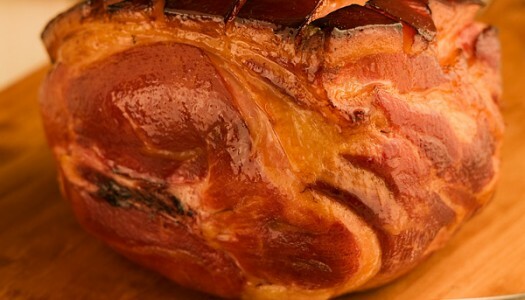 Baked ham is easy to prepare, and easy to personalize with the flavour of your choice because it goes so well with so many ingredients, including the ten variations detailed here.